Book Making: Make your mark on literary history.Invent a word like Willie and I did. Make your mark on literary history. Invent a word like Willie and I did. 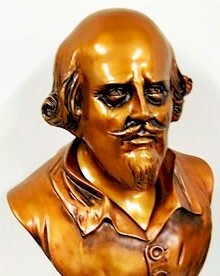 William Shakespeare's birthday was celebrated on April 23. Since it was his 446th birthday, he was not present to blow out 446 candles. The Oxford English Dictionary shows more than 2000 entries where a quotation from Shakespeare is the earliest source available. That doesn't mean that Willie invented those words, but he certainly popularized and legitimized them. Here's a list of some of the words he is credited with inventing. In 1969 and '70, I was assistant editor of High Fidelity Trade News -- a magazine that went to hi-fi dealers. In addition to audio components such as speakers, turntables and receivers, we also covered other electronic products that could be sold in hi-fi stores. So, with the approval of my editor, Bryan, I decided to call the device a phone "answerer," and no readers complained that they did not understand the term. 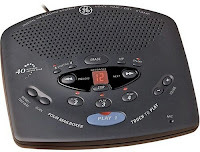 In later years, as recording tapes and motors and other mechanical guts were replaced with digital circuitry, newer terms such as "Telephone Answering Device" ("TAD"), "Digital Answering Device" ("DAD") and "Answering System" came along. Although dictionaries still define "answerer" as a person who answers, General Electric uses the word my way. As with Shakespeare, my word may outlive me. I am proud to have contributed one small bit to the English language.